There are a number of ways a person may seek to find an architect – most commonly through word of mouth referrals, via search engine sites or by asking on social media for recommendations. If using the latter how do you know which firms are competent and reliable to do the work you need, in the way you imagined? 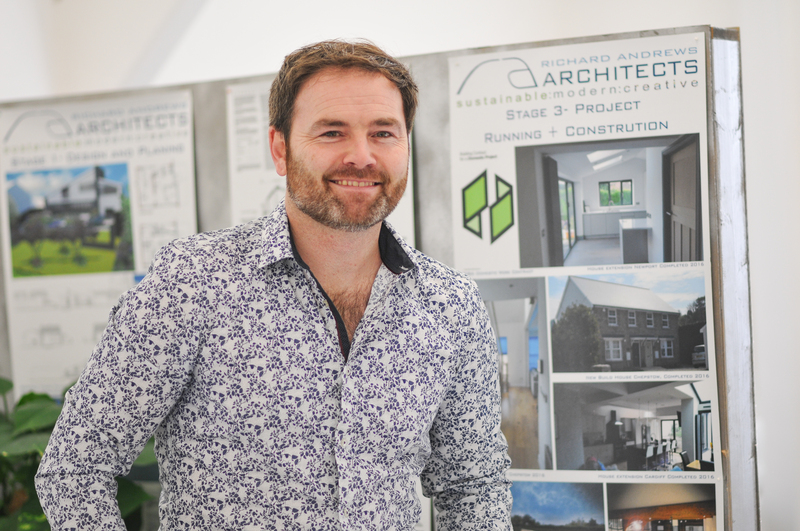 Our top tips for choosing an architect! - Thinking about your project do you need a specific skillset or service? For example, if you are working on change of use scheme it would be beneficial to choose a practice which can demonstrate experience within that sector. We recommend asking how many projects of that type the practice has worked upon, if there are any finished buildings you can visit or if they can supply a contact for testimonial. - Put together a shortlist of architects to speak to in person about your plans. Most firms will offer a free consultation or initial discussion. This is a great opportunity for architects to demonstrate their creative ideas and general enthusiasm for your project. - Ask the practice for their track record with approvals – try and suss out if they have a good relationship with local planners. - The fee proposal – don’t necessarily go for the cheapest bid. Weigh up everything you have learnt about your potential architect so far. A good practice will always devote time to explaining their fee proposal and clarifying any points you may be unsure of. Will my build need planning permission? We would love to discuss your plans and ideas, contact the team today on 01633 744144 to arrange your free one hour consultation! 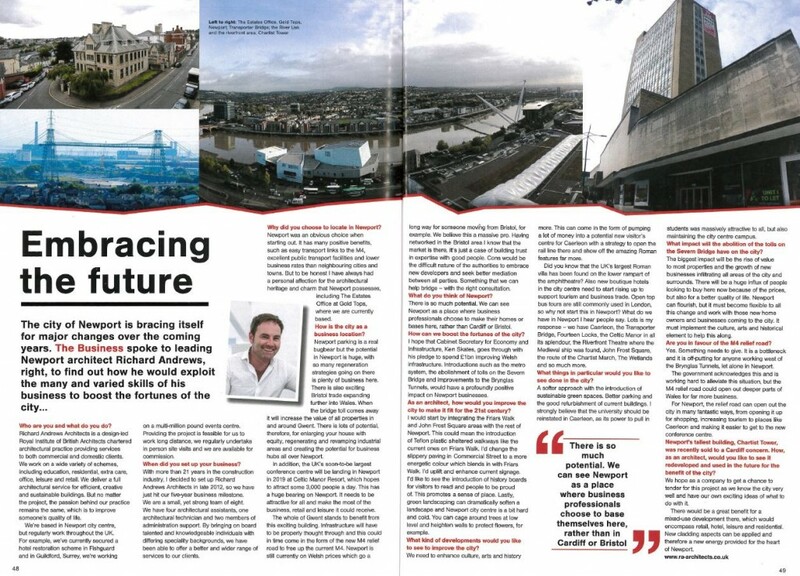 Following the Newport City Summit 2018 meeting that was recently held at The Celtic Manor Resort, our director Richard was interviewed by new South East Wales publication 'The Business' to discuss how we would approach the major changes soon to come to our city! Great magazine, highly worth a read!